Definition at line 69 of file netbios.c. Definition at line 70 of file netbios.c. Referenced by nbInternalEnum(), NetBIOSEnableAdapter(), NetBIOSEnumAdapters(), NetBIOSInit(), NetBIOSRegisterAdapter(), and NetBIOSShutdown(). Definition at line 71 of file netbios.c. Referenced by nbInternalEnum(), Netbios(), and NetBIOSNumAdapters(). Definition at line 72 of file netbios.c. Definition at line 74 of file netbios.c. 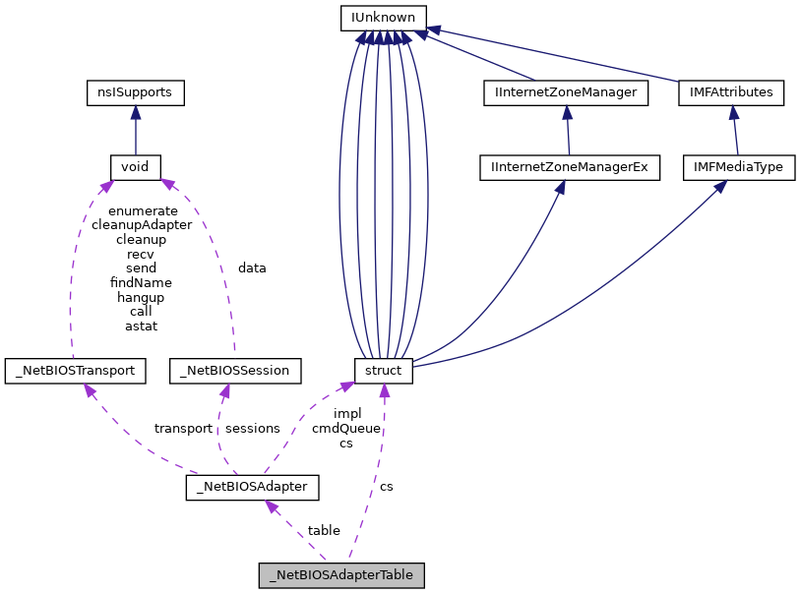 Referenced by nbEnum(), nbGetAdapter(), nbInternalEnum(), nbResizeAdapterTable(), NetBIOSEnableAdapter(), NetBIOSEnumAdapters(), NetBIOSNumAdapters(), NetBIOSRegisterAdapter(), and NetBIOSShutdown(). Definition at line 73 of file netbios.c.